It has been a while since we’ve seen the release of a good book to help budding miniature painters out. Granted, there are a variety of good sites on the Internet to find help from, and a few with very specific hints and tips, but there’s nothing like the feel of a real book, in-hand to draw information and inspiration from. How to Paint Citadel Miniatures offers 98 pages in all (if you count the images inside the front cover and the inside back cover guide to the Citadel color range of paints and inks). While it may come off as a guide to painting only Citadel miniatures (those offered by Games Workshop essentially), it’s actually a very useful guide to painting miniatures in general. 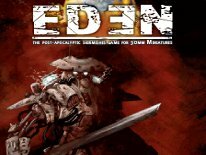 There’s no reason why you couldn’t use what you’ve learned within this book to paint Warmachine, Confrontation, Void, Reaper or any other companies’ miniature range. They just focus primarily on 40k, Warhammer and Lord of the Rings miniatures, because those are their products, and that’s expected. Contained within Materials you’ll find the Tools of the Trade section, detailing pretty much all of the tools one really needs to get the most out of the hobby of miniature painting. Preparation encompasses a little more ground by offering the sub-sections Assembling Metal Models, Assembling Plastic Models, Gap Filling and Undercoating. As you can see by the list above, the Techniques chapter seriously covers a lot of ground, and does a really good job of it for the most part. The only thing missing would be some of the more advanced techniques like NMM (Non-Metallic-Metals), but in all they covered almost everything else that a beginner would need to know, and even some techniques that a moderately skilled painter could make use of just the same. While the Layering and Highlights section is very useful, it could have been more beneficial to the reader if they had provided some photos of different stages of work in progress on a miniature, instead of the illustrations depicting the techniques alone. With that said, make no mistake about it, there’s definitely no lack of photos throughout this book. Actually there are oodles of photos to be found, many before and after pictures, work in progress pictures in various stages and many finished product pictures as well are peppered all throughout the book. All of which are professionally taken photos, offering loads of up close detail. The Finishing Touches chapter offers Protective Coating, Gloss Effects, Bases, Transfers or Decals and Painting Designs sub-sections. It covers all the bases well of finishing up miniatures once they’re painted and ready for the final touches. Once again loads of photos and a lot of solid tutorials are to be found within the chapter. The Stage to Stage chapter offers a lot of great step-by-step tutorials on how to paint some specific Games Workshop figures from their Lord of the Rings, Warhammer 40k and Warhammer Fantasy ranges. The figures covered are…Rider of Rohan, Blood Angel, High Elf Phoenix Guard, Eldar Dire Avenger, Marauder of Chaos, Valhallan Imperial Guard, Dark Elf Black Guard, Orc, Empire Spearman, Kroot, Dwarf Slayer and Witch Elf. Lastly the Blanchitsu chapter is nothing more than the last page of the book, which offers some advice and painting tips from Games Workshops Art Director, John Blanche. It’s an interesting read, and the photos of the figures he painted are astounding. All in all, How to Paint Citadel Miniatures is a great read, and is a book that no beginning or fairly new miniature painter should be without. It offers pretty much everything that’s needed to get the most out of the hobby, and it does so via great tutorials, detailed illustrations and amazing photos. It’s hard to recommend it for the seasoned veteran painter, but even a moderately experienced miniature painter may find something of use within this book, as it does cover a great deal of ground thoroughly. Additionally, you could easily drop $20 on something else and get a whole lot less out of it. Originally posted at GamingReport.com in 2004. Everything about that product is totally relevant today still. 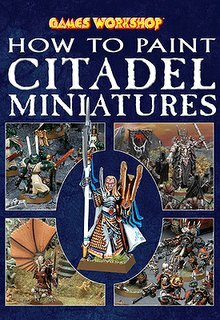 Even by today's standards, there hasn't been a book since to lay out everything as well as they do in How to paint Citadel Miniatures. As I stated in the article too, there's no reason why what you can learn from that book couldn't be applied to Warmachine, Infinty, Pulp City, Flames of War, or the painting of any other miniatures out there today. In a day and age of DVD, and YouTube tutorials, some may be put off by a book. There's still something to be said about an item that you can hold in your hands, take with you to work, out to lunch, or just to sit and read on the back porch when ever you have a quiet moment. Even an experienced painting hobbyist can stand to learn something from a book like this. This is one of the few existing values that GW offers. As recently as a few days ago I saw that GW announced the Academy Program, which can be pursued through official GW stores. This program costs $70 to sign up for. The picture showed 8 GW paint pots, sprue cutters, white glue, super glue, a tub of flock, and a paint brush, plus this very book How to paint Citadel Miniatures. All of those items are said to be included in the cost of signing up. That's not a bad starter kit, because I guess if you did the math, that's pretty much MSRP pricing on all of those items anyway combined. The idea behind Academy is to educate beginners on the basics, and how to from start to finish build and assemble, prime, paint and base, and then play and build an army with GW miniatures. Of course I think the bigger picture is the fact that they axed many of the staff during their downsizing of GW stores worldwide a few months back, and with less staff to teach you all of these things, as they once did before for FREE... they've now figured out a way to hand you a kit, and say Get-R-Done. They make out, because they get to charge you $70 for it in the process, and sell more GW product at the end of the day from the start. So this eliminates the personal experience you once had from GW stores, where they'd teach and show you all of these things for free. They cut costs, and make more money in doing so. I have to hand it to them, they know how to generate the dough, and come up with the most elaborate plans to do it. On a more positive note, if you complete the program they offer one of a variety of boxed sets for free too, like a Space Marine Tactical Squad, Lord of the Rings Warriors of Minas Tirith, Chaos Warrior Regiment, or Space Marine Devastators, just to name a few. I have to say, that the cost of admission doesn't sound that bad when you factor in the freebie for completing the course. However, they didn't make clear yet what you have to do to complete the course, and how hard completing the course may be. There is this too... Other hobby supplies are required to completion of the program - ask staff for details. This leads me to believe that this might be more of a plot to just sell more product, than it is a program designed to grow the community, and to educate little Timmy, or uncle Joe on how to be better hobbyists. The Academy program ends up looking more like another way for GW to sell you more product at full MSRP. However, I will admit, the kit isn't a bad option for a complete beginner, since it includes the How to paint Citadel Miniatures book. But it's clear that there's more to it than they're willing to tell us at their website alone.